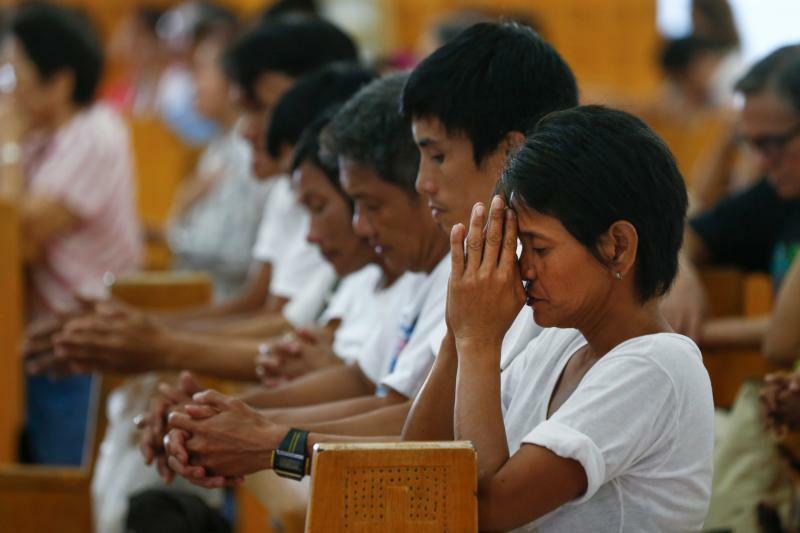 MANILA, Philippines (CNS) — Philippine President Rodrigo Duterte renewed his attacks on Catholic leaders and urged Filipinos to stop going to church altogether. The president, who earlier this year called God “stupid,” suggested in a Nov. 26 speech that people should instead build their own chapels where they can pray, ucanews.com reported. “You don’t have to go to church to pay for these idiots,” said Duterte referring to bishops who have condemned the wave of drug-related killings in the country. Duterte’s tirade against church leaders came days after he accused Bishop Pablo Virgilio David of Kalookan of giving church donations to his family. He offered no supporting evidence for his accusation. “You, David, you be quiet. You go on asking for contributions. … Where does the people’s money go?” the president said Nov. 22. “You know, the truth is, I tell you, the offerings, the pineapple, avocado, bananas, where do they go? You want to know? I will show you. To his family,” Duterte said. “The fool just keeps on asking — there is even a second collection,” he added. Bishop David’s pronouncement seemed to anger the president. Duterte said Nov. 26 that he thought that the bishop might be into drugs. “I’m telling you, David. I wonder why he goes around in the evening. I suspect that he might be into drugs,” he said. “I only help in rehabilitating people addicted to drugs … Thank God I am not even taking any maintenance drugs yet,” the bishop said. “I only take vitamins with fruit shake blended (with moringa) in the morning. You might want to try it, sir. It will do you a lot of good. God bless you,” the bishop added. Bishop Arturo Bastes of Sorsogon said people should disregard the president’s statement. Bishop Ruperto Santos of Balanga said the president’s statement is “very irresponsible and heartless” and could sow division. In his speech Nov. 26, Duterte lambasted the bishops for believing in an “archaic” church that is only good at making money.